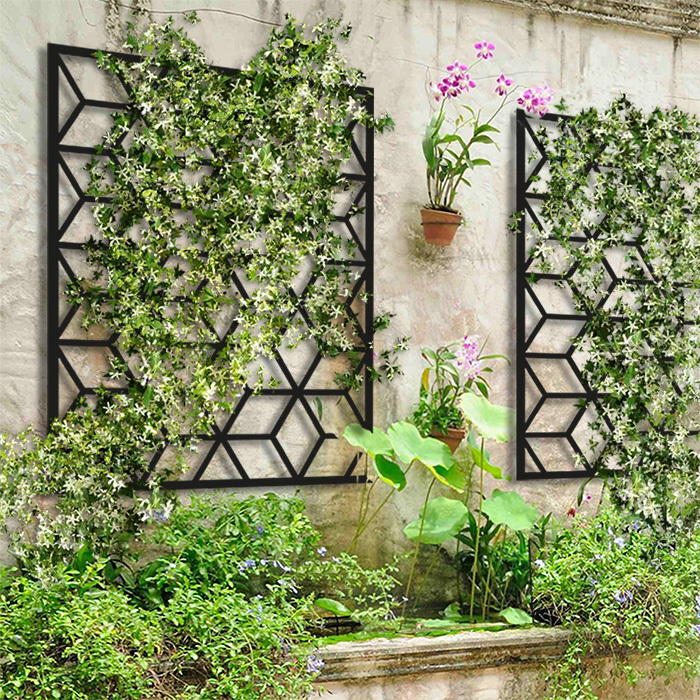 Dominique Palis designs ornamental panels and lattices herself and controls their manufacturing in a French workshop using high-precision CNC-machines. 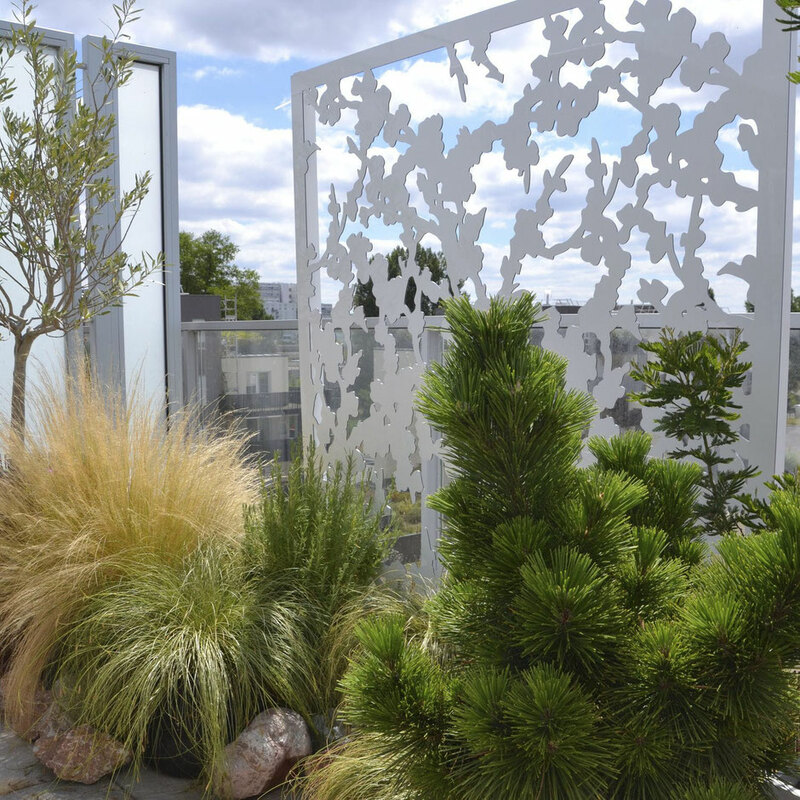 The panels are made of weather resistant materials with uv-protection ( outdoor DIBOND® , REYNOBOND® or ALU-PANEL® ). They are both very stiff and light, properties that make them easy to handle and implement and they dont need any specific maintenance. Dominique develops each collection according to different themes in order to create customized environment, consistant with your home decoration.